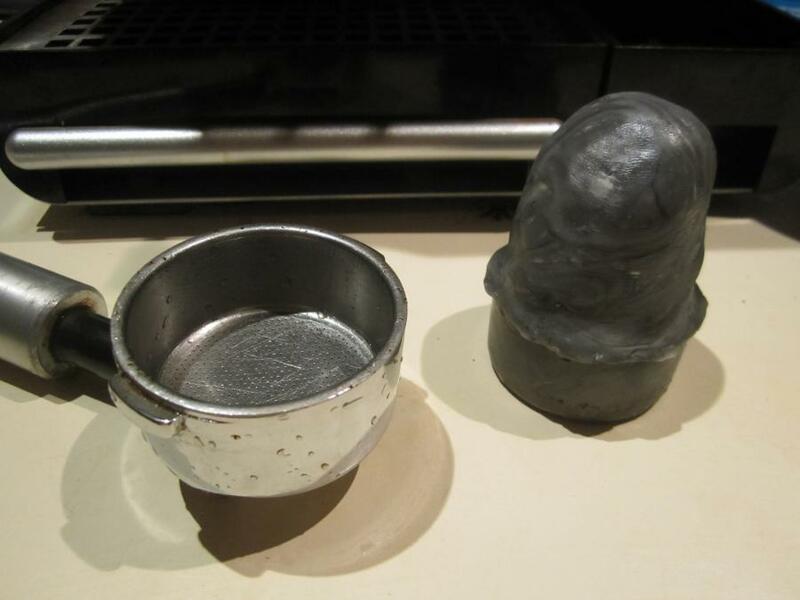 Paul made a handy Plastimake coffee tamper. 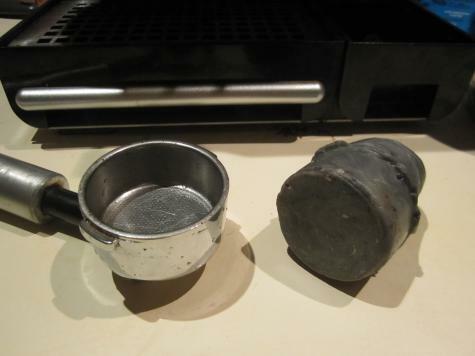 Although his espresso machine has a built in tamper, he found it to be unsatisfactory and was inspired to make his own. Paul's solution is really clever. He pushed Plastimake directly into the filter basket so that the base of his tamper fits snugly inside. He also formed a simple handle on top. Because this coffee tamper required a hefty chunk of Plastimake, Paul used some leftover grey-coloured Plastimake from a previous project. The added bonus is that it won't show coffee stains as quickly as pristine white Plastimake would!